Fox News is making waves in the digital space. According to data from comScore, FoxNews.com topped CNN.com in total number of multiplatform page views last month, delivering 1.436 billion in June. That’s 167 million more multi platform page views than CNN.com earned last month (1.269 billion). FoxNews.com has now earned more multi platform page views than CNN.com for 3 consecutive months. While the CNN Brand is still on top overall in multi platform page views (see below), FoxNews.com has been posting year-over-year growth. The website was +19 percent last month in multi platform page views compared to June 2017, and +4 percent versus May 2018. 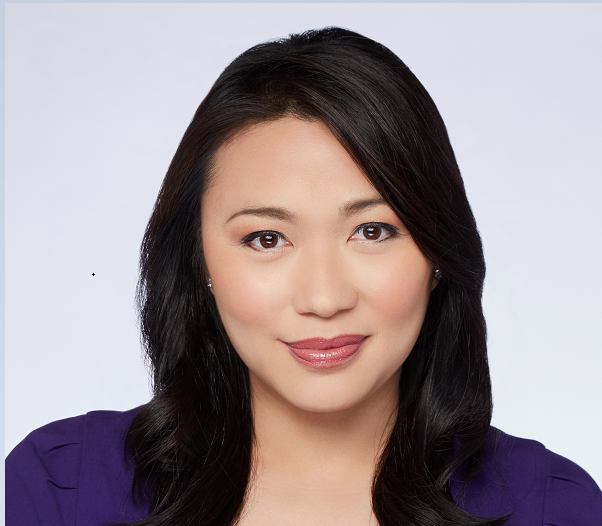 In addition to stats, we spoke with Fox News Digital managing director Joanne Po about how the network’s digital operation has grown over the past 18 months, her own background in editorial, and where she sees room for improvement. Po was named managing director for Fox News Digital in November 2017. She arrived at Fox News in May 2017 from sister company The Wall Street Journal, where she was digital executive producer. TVNewser: Talk a bit about your skill set. What makes you stand out? Po: I grew up in television before I made the jump to digital, a little on the early side. People had been talking about the digital revolution coming for a very long time, but it all really changed in the early 2000s. I saw that trend coming early on, particularly with the advent of the iPhone which really just changed the way people view content. So while I was an early adopter of digital, and I truly saw the power of digital, my first love was television. It’s all about storytelling for me and just getting the news right. I have worked with some of the best journalists in the world, and being a journalist, first and foremost it’s all about how you tell stories and being fair. I really try emphasizing that the news comes first, and understanding the power of our Fox News digital brand and the power of the Fox News brand in general. That’s a big responsibility. It’s about being able to say: “This is how we can cover breaking news better,” because Fox News is really a breaking news beast. It’s about telling the news in different ways and presenting the news to an audience in different ways. That’s the power of digital. What does Fox News Digital need to do a better job of? What’s an important goal for you to achieve? We always want to improve on what stories we choose, how we produce those stories, how it can get to the consumer and that consumer experience. That means in breaking news and in original reporting as well. That’s what I really hope to elevate and I think there are ways to constantly be thinking about how we can engage with the consumer in a different way. We want to look at stories more holistically, and not just “who,” “what, “when,” where.” We want to bring the story to life. So, that’s the type of sensibility I hope to bring. “How does this translate to the viewer?” “Who is the consumer on the other end?” and really reaching them that way, whether they’re on their phone, or on their desktop or on their OTT product. Is there any new digital video content we should be prepared for? What is your team working on, or ready to roll out? We’re constantly working on new ways of storytelling, and that includes video. Video is a very important medium for us and we do have some really good serial content coming up, but I can’t really tell you about them right now! But we’re working on exciting stuff, constantly, and again we are looking for ways to tell stories differently and better. You are up year-over-year in multi platform page views. Do you believe it’s Trump and this neverending news cycle that’s getting people to flock to FoxNews.com, or does it have to do more with these changes you all are making, like the investments you mentioned? There’s absolutely more news coming at us these days, and it’s how we cover all of this news. We now have the tools, we have the staff, we have personality on our site. It’s really all of the above. We have great teams in place now, and that absolutely makes a difference. What else do our readers need to know about how Fox News Digital in July 2018? We are just absolutely thrilled, and so excited that this is the third consecutive month that FoxNews.com beat CNN.com. We are really fortunate that the Fox News audience is extremely loyal. They like the content, they’re coming back for more and they’re staying with us even longer. I think we are so proud of this winning streak. I would say that we have invested heavily in the last 18 months, and it’s just paying dividends. We have put a lot of focus on collaboration between editorial, audience development, product, technology and social media. It’s all about creating and curating great content, and getting that information to our existing audience, but also finding and reaching new consumers who may not have been previously exposed to the Fox News digital brand. All of these investments—our investment in people, in training, in technology—are all now bearing fruit. We are thrilled to be chipping away. We were never competitive, and now we are. I think we are giving our competitors a run for their money, so to speak. This wasn’t the case 18 months ago. One of those competitors Po mentioned is CNN. It’s important to tell their side of the story too. CNN Brand–which consists of CNN.com, CNNMoney.com, Explore Parts Unknown (the digital site for Parts Unknown) and its international coverage—topped FoxNews.com in total number of multiplatform page views last month, with 1.496 billion. CNN Brand also ranks No. 1 among digital news outlets when it comes to domestic traffic. That’s according to comScore Multi-Platform Media Metrix data from last month. 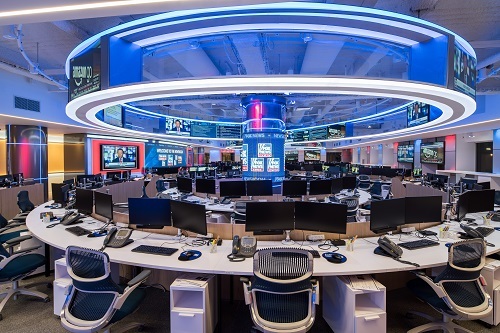 While FoxNews.com has the edge in total number of page views over CNN.com, June marked the 25th month–more than two straight years–of CNN Brand entity being at the top of the digital news heap in multiplatform unique visitors, video, millennial reach and social.